Keyword research is the foundation of any successful digital marketing campaign. By determining the keywords your target audience use to search for content relevant to your business niche, you can create content that readers find useful and engaging, as well as rank higher in the search results. Furthermore, the more relevant your keywords are to your website and business, the more cost-effective your digital marketing campaign will be. Read more about how keyword research can be a significant investment and how it can take your content marketing to the next level. Keyword research is a crucial component of search engine optimization (SEO). In short, the process involves researching and finding a set of keywords and keyphrases that your target audience use in search queries to find content related to the goods or services offered by your company. Search terms that are industry-specific and popular among your target audience will yield the highest return on investment (ROI). This will enable you to plan and create content that your target audience is likely interested in. In addition, by sprinkling your content with keyphrases that are relevant to the content in question, that content will rank higher in the search engine results pages (SERPs). Proper industry-specific keyword research plays a direct role in your marketing campaign efforts. Whether your target audience is searching for information in Google or simply browsing the web, both search engines and web users rely on keywords to find your site. If you look at established websites that rank highly, they all have one big thing in common: a winning keyword strategy. Until you understand which keywords and keyphrases are most crucial for ranking your website, you cannot properly optimize pages on your site, inevitably resulting in low traffic and minimal leads. Performing keyword research correctly is paramount if you want results in the SERPs. Choosing the wrong keywords for your website and business can attract the wrong visitors to your site, otherwise known as “unqualified leads.” For example, you do not want to attract vegans to a website dedicated to learning the best way to cook a steak. While this tactic may get your page views, it is not the type of traffic you want for long-term success. Bad keyword research can result in your website ranking for irrelevant keywords and attracting internet users who have no interest in your content, increasing your bounce rate. Ultimately, this leads to businesses wasting significant time and money on a profitless marketing campaign. Proper keyword research, in contrast, provides numerous benefits to businesses. First, it enhances their ability to create quality and informative content that attracts a brand’s target audience to their business. Second, keyword research can increase their page rankings in SERPs, increasing their content visibility and brand exposure. This boosts their odds of gaining quality leads, and better leads translate to more conversions and more revenue. Furthermore, the more you invest in appropriate keyword research and create keyword-optimized content, the greater your brand exposure. In addition, your website will receive higher SERP rankings, generating more quality leads and more ROI. It is essentially a positive cycle that repeats itself. Keyword research involves more than just guessing which terms might be a successful fit for a website. Professional keyword research is a time-consuming process of researching, filtering, and discerning the absolute best keyphrases to target out of thousands of potential search terms. While it takes an experienced marketing professional to get the most value out of keyword research, there are some beginner techniques to help get you started. Seed keywords are the basic words you would type into a search engine without the use of modifiers (think “shoes,” not “shoes for eight year olds”). These form the foundation for your keyword research as they help identify your business and define your brand. You can also brainstorm seed keywords by considering how people might search for it in a search engine. Ask yourself: what terms or phrases would your customers use to find your website or content from an internet search query? What industry-relevant terms would they use? You can test yourself as well: consider, if you were trying to reach your site or specific content, what words would you type into Google? 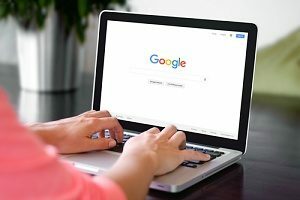 Another tool you can use if you already own a website with industry-relevant content is to use to the Google Search Console. This tool allows you to see the keywords and keyphrases your pages already rank for in Google. It also shows your average position for each of the keywords you rank for, as well as how many clicks and impressions they bring you. 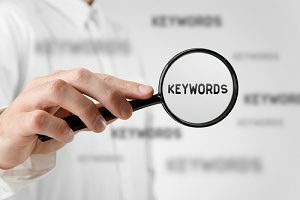 Knowing the keywords that are already in your arsenal is a perfect starting point for expanding your keyword research marketing campaign. Using a solid keyword research tool is is one of the best ways to conduct extensive keyword research. Keyword tools are software applications that use big data, Google Autocomplete, and other search engine tools to generate relevant and related keywords and keyphrases on any topic searched. All you need to do is plug a seed keyword into the tool, and it returns a detailed list of related keywords and topics. The good news is that there many free keyword research tools available. The bad news is that they rarely give you more than a few hundred suggestions. UberSuggest, for example, only shows 117 suggested keywords for the phrase “marketing campaign.” For marketers seeking a more comprehensive tool, there are many advanced keyword research tools available, such as Ahrefs, that can provide many more keyword ideas. 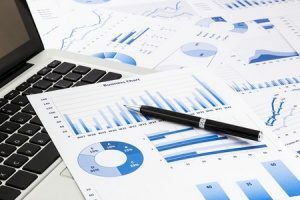 Of course, most of these complex tools can take considerable time to master, which is why many businesses outsource their keyword research to a qualified marketing firm. If you find that your keyword research isn’t creating the results you are looking for, it may be time to hire a professional. Having access to a team of qualified marketing professionals will allow you to leverage their keyword research expertise without having to hire a digital marketer full-time. This can prove invaluable when trying to carve out or maintain your spot at the top of the search engines. Ready to begin advanced-level keyword research and kick-start your marketing campaign? Contact 321 Web Marketing to schedule a free consultation today.